Using Photos or Text from this webpage: All non-credited photos and all text on this webpage are property of Henry Rogers/Western Historic Radio Museum and are subject to copyright laws. Written permission (e-mail) is required for the use of any of our photos or any of our text on any other websites or for any other purpose. We only ask for due credit for our efforts. John W. Mackay is best known in Nevada as one of the "Big Four" of the Comstock, the mining district located in Virginia City, Nevada. Mackay was an immigrant youth that worked his way west and then came to Virginia City in 1859. He worked in the mines but eventually formed a partnership with three other Comstock investors, Fair, Flood and O'Brian and the four invested their way to wealth on the Comstock. His wealth allowed Mackay to move in a different direction after leaving Virginia City - telecommunications was the direction taken. In 1883, Mackay established a partnership with J. Gordon Bennett Jr., which gave birth to the Mackay-Bennett Cable Company but shortly the name was changed to Commercial Cable Company (1884.) 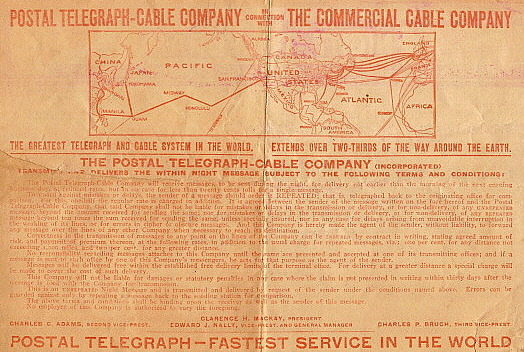 In 1884, CCC laid a transatlantic telegraph cable to directly compete with Jay Gould's Western Union. By 1886, Mackay and Bennett started Postal Telegraph Company for telegraph communications within the USA. All of this led to a rate war between Mackay and Gould - that is, CCC and WU - that waged for 29 months with each company trying to under sell on the price per word for transatlantic telegrams. Eventually, the price went from WU's $0.50 per word down to a low of $0.12 per word but an agreement between the companies set the standard rate at $0.25 per word to stop the rate war. In 1901, Mackay started the Commercial Pacific Cable Company to begin transpacific telegraph operations. Additionally, Great Northern Cable Company and Eastern Telegraph Company were added to the ever growing Mackay-Bennett system. 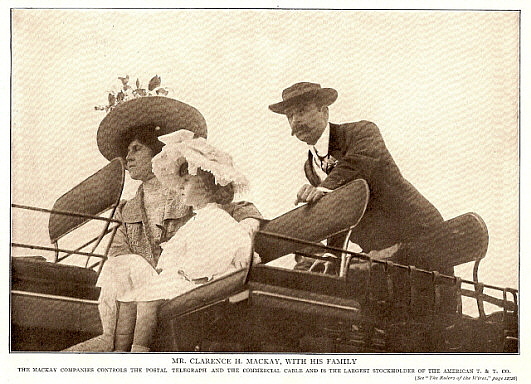 John Mackay died in London in 1902 and his son, Clarence Mackay (photo left) inherited all of the telecommunications businesses and saw to the completion of the transpacific system in 1904. At that time, the Mackay-Bennett system serviced about two-thirds of the world with telecommunications. Also, at this time the first "wireless" transatlantic telegrams were being sent and it was obvious that a wireless-radio communications system would become the next telecommunications technical revolution. 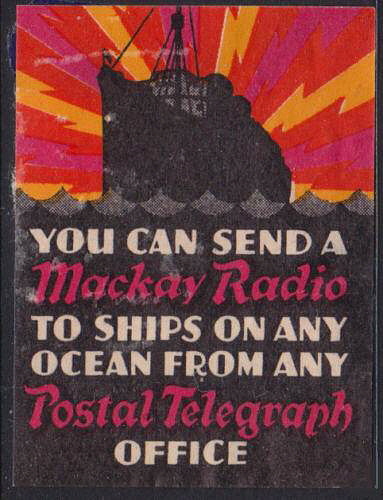 In 1925, Clarence Mackay formed Mackay Radio & Telegraph Company. The company was to operate a radiogram service that provided world-wide communications using company owned and operated stations. 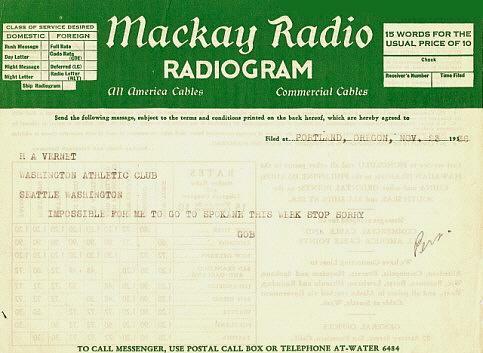 Additionally, a division of the company would sell and install Mackay Radio equipment on commercial ships. Initially, the radios were contracted to radio building companies, like Federal Telegraph Company who specifically built arc transmitters and shipboard radio equipment. FTC also built consumer radios in the mid-1920s under the Kolster name. 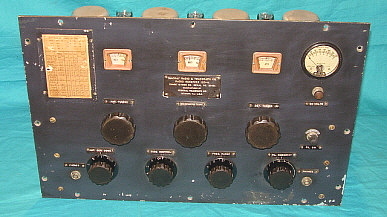 FTC's maritime radio equipment was sometimes installed in large consoles that were called Marine Radio Units. These consoles contained all of the necessary radio receivers, transmitters, power supplies and auxiliary equipment necessary for maritime communications. In 1928, Clarence Mackay sold most of the cable and radio company to International Telephone and Telegraph Company. Mackay stayed on as Chairman for Mackay Radio and Telegraph Co. until his death in 1938. ITT kept the Mackay name for years, selling marine radio gear and running the Mackay Radiogram service along with American Cable Company and Commercial Cable Company. Ironically, Postal Telegraph was sold to Western Union in 1943. 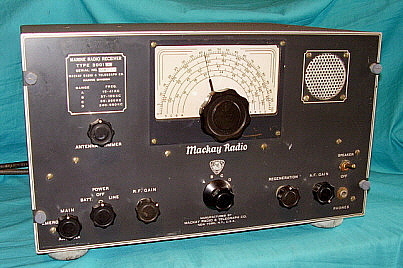 The ITT-Mackay name in radio was actively used for decades, sometimes as Mackay Marine ITT and also Mackay Thales. Nowadays, Mackay Communications Company is doing business out of North Carolina. Without John W. Mackay's wealth - acquired in Virginia City, Nevada - he would not have had the financial wealth and power to form the vast telecommunications company that eventually allowed his son, Clarence Mackay, to form Mackay Radio & Telegraph Company. Nevada silver and gold provided Mackay's wealth. Even Jay Gould said that he couldn't beat John Mackay because ",...if he (Mackay) needed more money he would just go to Nevada and dig up some more." The historic telecommunications and radio connection to Nevada is certainly real and Mackay and his telecommunications companies there at the beginning. Shown below are three examples of Mackay Radio & Telegraph Company shipboard radio receivers. Leftmost photo shows the 1932 Type 105-A shipboard longwave receiver. Middle photo shows the 1952 Type 3001A shipboard longwave receiver. 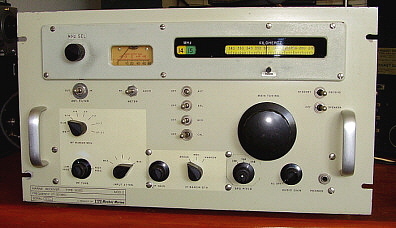 The rightmost photo shows the 1968 ITT-Mackay Marine 3010C shipboard MW-SW receiver. Though the discovery of electricity and the beginnings of radio can be traced back to Thales of Miletus (static electricity charge via amber,) the first deliberately sent electromagnetic "signal" was the result of experiments performed in 1868 by a Virginia dentist named Malon Loomis. His device consisted of identical length wires held aloft by kites separated by a distance of 18 miles. With connections using timed switching, each system would alternately connect galvanometers and ground connections. Loomis was able to see a "cause and effect" that he attributed to "atmospheric static electricity." Loomis appealed to Congress for $25,000 to develop his system but the post-Civil War politicians were not interested in wireless communications and saw "no value" to Loomis' experiments. In the late 1860s to early 1870s in Scotland, James Clerk Maxwell created and published his mathematic equations that proved electromagnetic radiation traveled in waves and would propagate great distances. Since most physicists at the time believed that the electromagnetic "cause and effect" demonstrations were the result of inductive fields rather than radiation, development of a wireless communications apparatus was delayed for about a decade. In 1888, Heinrich Hertz proved Maxwell correct with a series of experiments that measured the wavelength of his transmitting device thus proving that EM radiation traveled in waves and therefore was not inductive fields. By 1891, Nikola Tesla was beginning to demonstrate wireless and in 1892 gave a demonstration of wireless transmission and reception at the Franklin Institute. The patents for a working wireless communications apparatus appear in 1896 - Nikola Tesla in the U.S. and two months later by Guglielmo Marconi in England. By 1898, the United States Navy was installing wireless sets on board some battleships. These communications sets could transmit and receive at distances of about 30 miles. In December 1901, Marconi was able to receive a wireless signal across the Atlantic. Dating from Marconi's successful transatlantic transmission-reception in December, 1901, wireless became an interesting topic that reporters included in many newspaper columns. These reports are mostly concerned with messages received or installations on various ships or ports and are usually vague in details. Since there were few regulations at the time, no official government records exist with licensing details. One has to rely on newspaper accounts and hope that the reporter had his information correct and the details provided him were also accurate. There are many Nevada newspaper accounts of lectures on wireless communications and a 1907 Reno Evening Gazette (REG) even mentioned "wireless lighting" in the future - certainly a non-specific reference to Nikola Tesla's high voltage-high frequency experiments at the time. The best documented early Nevada wireless communications information came out of Tonopah and centered around Arthur G. Raycraft, employee of the Nevada First National Bank of Tonopah, investor in many of the mining camps in the Tonopah area, organizer of many businesses and a talented wireless amateur. Raycraft was an enthusiastic proponent of using wireless to keep in contact with the mining camps around the west-central Nevada area. * Though early writing uses the term "Wireless," "Radio" was officially adopted at the Berlin Wireless Conference in 1908. However, "Wireless" was still in common use during WWI and "Radio" didn't become the popular term in the USA until after WWI. Arthur G. Raycraft - Nevada's "Father of Wireless"
The Tonopah strike dates from 1900. Arthur Raycraft relocated from Carson City as Tonopah developed, arriving as an employee of the Nevada First National Bank of Tonopah. Raycraft had earlier experience as a telegrapher and was interested in wireless. Just how early Raycraft began experimenting with wireless is not known but he probably brought his interest with him to Tonopah. The earliest documented radio transmissions within the state of Nevada were associated with Raycraft's radio (spark gap) telegraph communications system between Tonopah, Nevada and a similar installation in Manhattan, Nevada, about 30 miles north of Tonopah. Raycraft invested in many of the mining businesses surrounding Tonopah and one of his interests led him to become president of the Dexter-Manhattan Mining Company. 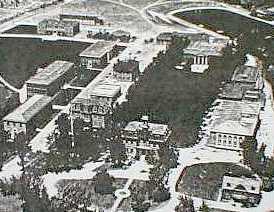 Raycraft's wireless set-up was in the planning stages as early as May of 1909. Raycraft assigned call letters to his two stations in May of 1909 and they are listed in the Wireless Association of America (formed by Modern Electrics magazine, Hugo Gernsback publisher) as ARM for Manhattan and NHM for Tonopah. Each station is also listed as operating on 260 meters with a 12" spark coil. 260 meters is a rather short wavelength (frequency is 1150 kHz) for a time when most commercial stations were around 600 to 1000 meters (500kHz to 100 kHz.) This shorter wavelength was common practice with smaller stations and allowed Raycraft's equipment to use smaller coils and condensers along with a shorter antenna. The wireless system in Manhattan was eventually installed on the second floor of the Dexter Building. In May of 1910, Raycraft's transmitter in Tonopah was still inoperative. He had performed some tests and was trying to establish communications with a costal station when "arcing" occurred at the power company sub-station (located down the hill from Raycraft's home) which prevented the transmission of any messages. "Arcing," which was probably a generalized term used for any problems experienced down the power line, was a fairly common event with early wireless transmitters that used high voltage transformers that were keyed from the AC line. Many experimenters were unaware that under certain conditions such as an unwanted resonance between the transmitter secondary load and the primary load resonance (which included the AC line,) a tremendous current could be demanded by the transmitter's transformer when it was keyed. This resonance coupled what was essentially a short circuit on the secondary (key down) to the primary and, if the transformer didn't burn out, then that current demand was pulled from down the AC line with the possibility of rapid over-heating of switch contacts or damage to other equipment at the power station or on the power lines from the station. Since Raycraft's house and spark station were so close to the actual power station the resulting problems were experienced at the power station. Later in the development of spark transmitters, primary chokes, AC current meters, "kickback preventers" and the common use of AC line fuses in the keyed primary prevented this occurrence. The "arcing" issue was reported first in the Tonopah Daily Bonanza (May 24, 1910) and later in the Reno Evening Gazette (June 6, 1910.) At the time of the report, Raycraft's receiving apparatus had already been picking up messages from the coast about 500 miles away. Tests at the Manhattan installation apparently were without incident but no two-way communications could be established from that station as of June,1910. Raycraft had built his house in 1906 - a structure later called "The Castle House" - and a second floor room there was the probable the location of the Tonopah station. An article in the Reno Evening Gazette on June 6, 1910 mentions that Raycraft's Tonopah station was located near the sub-station of the power company but suggested that it was going to be moved to some location at the "edge of town." This was also mentioned in the Daily Bonanza on May 24, 1910. Apparently this move never happened since all later reports indicate that the Tonopah station was always in Raycraft's house. The Reno article also says that Raycraft was an old-time telegrapher and was "quite handy with the keys." This is what typical wireless stations would have looked like around 1909-1910. The apparatus to the right was capable of sending and receiving either International Morse Code or American Morse. Coherer detectors could be used to operate sounders and since Raycraft was an "old time telegrapher" he may have preferred American Morse in 1910. He surely would have changed over to International Morse within a few years as better detectors became popular. Using other types of detectors, such a the 1909 Dodd station (to the left) did, International Morse could have been received. Arthur Raycraft continued with his wireless communications systems around Tonopah and the surrounding areas and in December 1919, it was reported that Raycraft wanted to install a system that would allow communications with Spanish Belt, Round Hill, Arrowhead and Tybo - all mining camps near Tonopah. Severe winter storms had been making delivery of supplies to these camps difficult or, in some cases, impossible. Raycraft stated that with the wireless system in place, these camps could have made their shortages known before the storms and the problems prevented. Most of the mining camps used regular automobile routes to keep the themselves supplied but weather sometimes delayed or stopped these automobile treks. At that time, with autos of the day, a 40 mile trip over dirt roads would be an all day ordeal in good weather. During the winter, the condition of the snow covered dirt roads would have made travel by auto an arduous and hazardous undertaking. Raycraft proposed that three towers on the peaks around Tonopah be reassembled (they had been disassembled after WWI ended) and be used for the antenna system. He estimated the cost of the system at $5000. 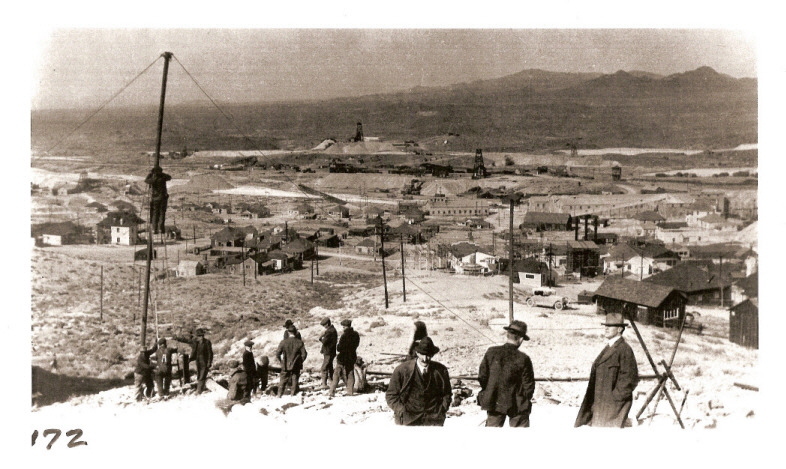 In February 1920, Raycraft formed the Nevada Wireless Telegraph and Telephone Company specifically to allow instant communications between the Arrowhead Silver Signal Mines and Tonopah - exactly what was needed after the severe storms of December, 1919, reported in the Reno Evening Gazette. However, more details about Arrowhead were reported in the Tonopah Daily Times newspaper. Raycraft invested heavily in Arrowhead and communications for supplies would be essential. Two 200-foot tall masts were to be installed on either side of the Arrowhead Silver Signal Mines building and would stand 100 feet apart. A large Delco dynamo was installed at Arrowhead to supply lighting to the growing camp and to power the wireless station. Plans included adding Eureka and Ely to the wireless system as it grew. Arthur Raycraft was the president of the Nevada Wireless Telegraph and Telephone Co., C.L. Oster was v.p., Lloyd Horton was treasurer and Judge R.L. Johns and L.L. Mushett were directors. The company was capitalized with $25,000 and sold 5000 shares, mostly to Tonopah residents. Raycraft was also treasurer for the Arrowhead Independence Mining Co. in addition to his regular job as cashier at the Nevada First National Bank of Tonopah. The next year, Raycraft was again associated with something new in wireless. This proposal was to install a wireless communications system near an oil derrick at the Fish Lake Oil Well to allow communications with Tonopah. The date was November 11, 1921. The system would allow orders for supplies to be delivered quickly and problems at the drilling site to be reported immediately without the need for a regular automobile route. Many of the mining camps (and the Fish Lake Oil Well) were so remote that they had to supply their own power and their locations were too far from Tonopah for telephone lines to be installed economically. The November 11, 1921 REG article does not state that Raycraft was directly involved with the installation at Fish Lake Oil Well but says that the Tonopah-side of communications would be with the co-operation of Raycraft and probably involved the Nevada Wireless Telegraph and Telephone Company. The article concludes by saying that "Arthur Raycraft is known as the 'Father of Wireless' around this camp." As radio communications evolved it is likely that technology caught up with and passed Raycraft's Nevada Wireless Telegraph and Telephone Company resulting in their ultimate demise as a business. Vacuum tube technology was evolving rapidly during the period just after WWI up to the early 1920s. With the Broadcasting Boom of 1921 to 1923, everyone became interested in radio - reception that is. 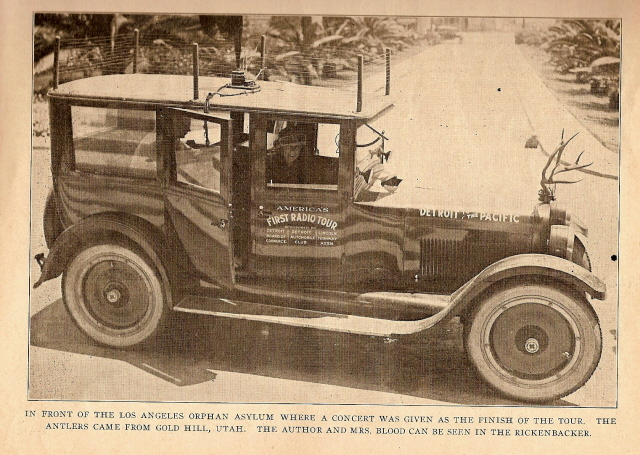 Always the organizer, Arthur Raycraft formed the Tonopah Radio Club in February 1928. 24 members attended the first meeting - all to complain about the terrible receiving conditions in Tonopah. A technical committee was formed, perhaps to help the less experienced radio fans. A $2.00 membership fee funded the treasury of the club. 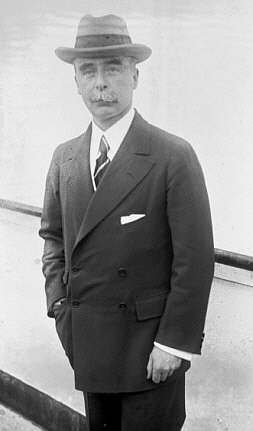 Arthur Raycraft died in 1944. Radio was his life-long passion and his title of Nevada's "Father of Wireless" is well deserved. Prior to August 13, 1912, amateur radio operators had no regulations - licenses were not required, no restrictions on power or wavelength, amateurs could do just about anything at any power level. Since no licenses were ever issued before the summer of 1912, there are no government records to refer to and one has to rely on newspaper articles and hope the information is accurate. There are no Nevada amateurs listed in either 1913 or 1914 Department of Commerce Callbooks. It is fairly certain that the first "licensed" radio amateur in Nevada was 6VI, Willis Pressel. 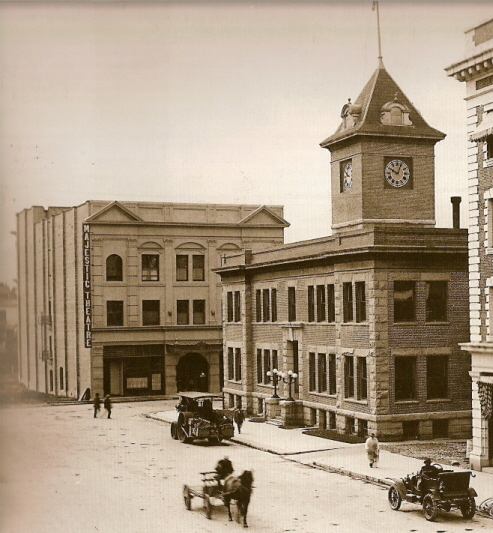 He is listed in a 1915 Department of Commerce Callbook with an address of "City Hall" in Reno, Nevada but this is due to the location of his equipment and the station's antenna which ran from the top of City Hall over to the Majestic Theater. Pressel's actual address was 136 Mill St. in Reno. A February 27, 1915 article in the REG relates that Pressel's station was not fully operational when a temporary Government ban on amateur operations was instituted. Pressel tried to demonstrate his apparatus the week before, on February 20, 1915, but nothing was heard. A year later, Pressel was to relay a message that was going to originate from Indiana on Washington's Birthday. This was a demonstration set-up by the American Radio Relay League (ARRL) to test the speed that a message could be relayed from Davenport, Indiana to all points west. Pressel was to receive his message from a Los Angeles amateur. The February 8, 1916 REG article concludes by saying that Pressel had received stations from Alaska, San Diego and San Francisco but had been unsuccessful in receiving stations east of the Rockies. Pressel's activities were just prior to the US entering WWI (April 1917) at which time a ban was placed on all radio operations, both receiving and transmitting, by the US Navy. The wartime ban was lifted for receiving in April 1919 and for transmitting in October 1919. 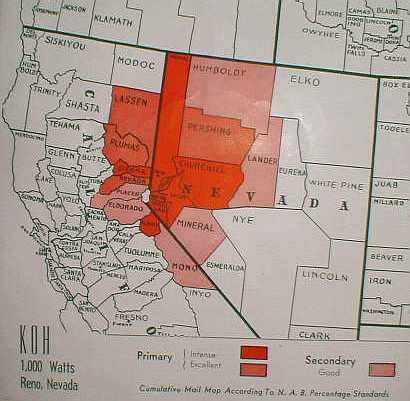 NOTE: Prior to 1947, Nevada was part of the sixth call district. 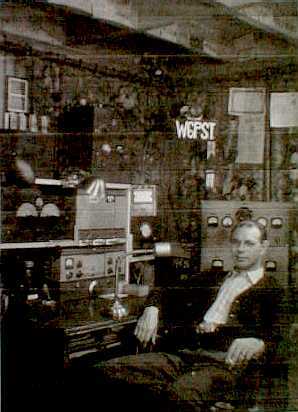 Another early radio amateur was Harold Vonderheide, 6VU, with an address of 711 Carson St., Carson City, Nevada. He is listed in the 1915 Callbook but not in the later 1921 Callbook. No other information can be found on Vonderheide. As amateur calls were issued alphabetically, Pressel's 6VI would have proceeded Vonderheide's 6VU. Other early well known Nevada amateurs were 6WO George Barnes (1920), 6ZO Hadley Beedle (1922), 6WT C. Sutherland (1920) and 6UO Charles Newcombe (1921, re-issued call.) Hadley Beedle, 6ZO, is mentioned several times in REG columns around 1916 as either forming or belonging to a wireless club in Reno. He would have been about 17 at the time. It appears that his first license was issued in 1922. The University of Nevada in Reno had a spark gap telegraph station in 1916. This was probably for amateur communications and experiments. The station call letters are unknown. In June of 1922, everyone was interested in radio reception. It was right in the middle of the "Radio Boom" of 1921 to 1923, when literally anything radio was saleable - even a cross country trek to expose the rural areas of the west to a never-before-heard experience called "RADIO." Dubbed "America's First Radio Tour," it was sponsored by the Detroit Board of Commerce, the Detroit Automobile Club and the Lincoln Highway Association who chose Wallace Blood to be the director of the expedition. Two Rickenbacker automobiles were supplied by that company and Captain Eddie Rickenbacker personally attended the send-off luncheon in Detroit. A special receiver was designed by Thomas E. Clark consisting of a three stage tuned RF amplifer followed by a detector and three stage audio amplifier - a seven tube receiver. The horn speaker was usually mounted on top of the Rickenbacker's roof for reception that was to be shared with the crowds in attendance at each stop. Also on the roof was a large loop antenna that could be roughly tuned from inside the car - though this was mostly for local stations - out west each stop required a long wire antenna set up. The radio set was mounted on a table that was attached to the back of the front seats providing the user access to the radio while enjoying the comfort of the rear seat of the car. Extra tubes, batteries, two extra 200 ft. wire antennas and other parts were brought along. Another Rickenbacker, an open touring car, was also making the trip with more parts for both radio and cars. Departing June 1, 1922 the crew consisted of Mr. & Mrs. Wallace Blood and Mr. & Mrs. O. W. Heinz. The idea was to drive through various towns along the Lincoln Highway and expose as many of the residents as possible to the wonders of radio. Although the timing was not ideal for reception - summer is notorious for static and lightning storms - and the number of commercial stations broadcasting at the time was somewhat limited (about 60 stations nationwide) - Blood made up for it by tuning in amateurs, radiophone stations and other interesting transmissions. His receiver tuned from 200 meters up to 700 meters (1500 kHz down to 425 kHz) so tuning in a variety of different types of stations would keep the public interested. Nothing but success was reported from Detroit until the Tour arrived in Nebraska. Summer storms and severe static, floods and other natural barriers occurred across the plains states. In the Rocky Mountains, power lines, high altitude and crowds of people. It seemed that somehow the publicity was ahead of the Tour and their audience was ever-growing from town to town. By the time the Tour arrived in Nevada they were old hands at erecting antennas and pulling in stations for those attending. Although Ely was a complete bust with no stations received, even after an hour and a half of tuning, Eureka provided reception of a station from Seattle, Washington. 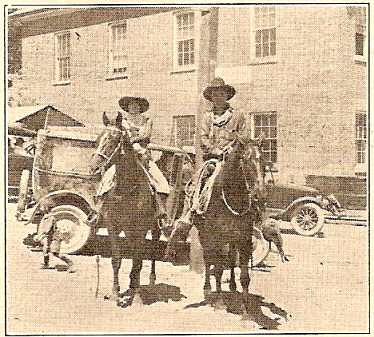 Rodeo participants pose in front of the "Radio Equipped" Rickenbacker parked on the side of the Austin Courthouse Austin, Nevada made the biggest impact on the Nevada part of America's First Radio Tour. The crew stayed in Austin three days for the Fourth of July festivities, attending a special rodeo and relishing in the western style of celebrating. The radio antenna was strung from the flagpole on top of the courthouse over to a restaurant roof across the street. Carson City was also on the stop and again the Seattle station was tuned in. The Tour was completed on July 13th after treking from Sacramento to San Francisco and then south to Los Angeles, tuning in local stations along the way. In all, America's First Radio Tour exposed thousands to an experience of radio - perhaps something they had read about but now had witnessed first-hand. The Tour also showed that the fragility of radio was not true. The radio set was not "ruggedly built" and, in fact, the tube sockets were bolted directly to the chassis with no cushioning at all. The radio never had any kind of failure and only one vacuum tube had to be replaced on the entire trip. Of the 44 set-ups conducted, 40 were a success with reception provided in the most severe conditions. Blood's article in the September issue of "Radio Journal" is very detailed, especially concerning Nevada. The holiday activities of Austin made quite an impression on him. Almost in contrast, California is dashed off in a few sentences, so certain details are not known from Blood's account. The Lincoln Highway Museum has articles from San Francisco newspapers that obviously indicate that the Tour ended there. The Lincoln Highway Association may have considered the official tour ended where the Lincoln Highway ended but "The Radio Tour" actually ended in Los Angeles. The fact that Blood confirms in three places in the article (including a photo taken in LA - left) that the Tour ended on July 13th in Los Angeles seems to contradict other accounts that say the end of the line was San Francisco. We will take Blood's account as accurate. Certainly, America's First Radio Tour was somewhat of a publicity stunt but it did provide the town audiences with information, entertainment and education - everything that radio was envisioned to offer. When the US entered WWI (April 6, 1917,) all amateur radio operation was suspended by order of the US Navy. This ban not only applied to transmitting but to receiving radio signals as well. It was April 12, 1919, before the amateurs could begin operations again and that was only for reception. The amateur transmitting ban was lifted by the Navy Department-Naval Communications Division with an order dated September 26, 1919, but that order stated that the effective date for amateur transmitting operations to resume was to be October 1, 1919. Dr. Frank Conrad of Westinghouse was given special consideration (so was Westinghouse) and allowed to transmit during WWI for experimental purposes that helped the war effort. These experimental operations at Conrad's home caused his neighbors to believe he was a German spy and the authorities were called in. The US Navy had to send their communications top brass in to assure all involved that Conrad was indeed working for the US Government. 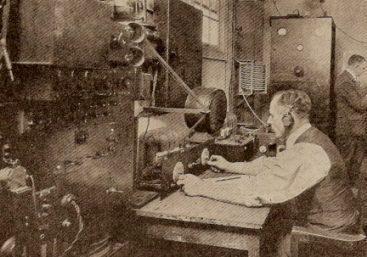 Dr. Frank Conrad's 8XK experimental-ham broadcasting in early 1920 developing into Westinghouse's KDKA (prior "experimental station" call was 8ZZ) in late 1920. Besides KDKA, the Department of Commerce issued only a handful other commercial broadcasting licenses up to December, 1921, when nearly twenty additional licenses were issued in that one month alone. The Broadcasting Boom began when the Department of Commerce started to issue commercial broadcasting licenses in earnest, in December, 1921. By early 1922, broadcast licenses were being issued to nearly any applicant but whether or not these new stations would succeed was impacted by several outside influences, such as ASCAP, Western Electric, even local musician's unions. Much of early broadcasting's history is reflected in the stories and events of Nevada's first radio broadcasting stations. On May 1, 1922, the University of Nevada at Reno was issued Radio Broadcasting license with the call letters, KOJ. At that time, broadcasting licenses were issued by the Department of Commerce after an application was filed. The applicant had 90 days to complete his station construction. A Department of Commerce inspector would then confirm that the station met the necessary requirements. The license was then approved and the new station had another 90 days before his first renewal would be due. The second renewal was not as involved and usually would not interrupt the station operation. The University apparently did not have their radio broadcasting station even in the planning stages when the application was filed and could not get the necessary equipment built in the 90 day time period. The license appears to have been issued anyway (on May 1, 1922) but was revoked on June 7, 1922. KOJ is listed in some 1922 radio magazine schedules and there were some reports that test transmissions were received in the Reno area, but it seems unlikely that KOJ was ever operational. 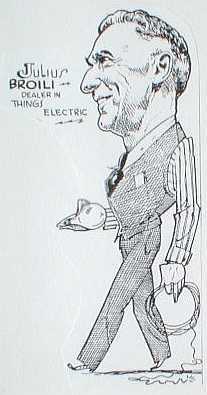 Julius Broili - "Dealer in Things Electric" Frank O. Broili was born in North Platte, Nebraska in 1874. His brother, Julius, was born in Willow Ranch, California in 1886. Frank was educated in San Francisco as an electrical engineer. He became interested in wireless sometime before Marconi's transatlantic signal "S" reception, in late1901. Frank also participated in Marconi's wireless relay from a portable wireless station he had built and located on the Farallon Islands (off of San Francisco.) He worked for the California Electric Company and, in 1904, was sent to Tonopah, Nevada. In 1905, while working for the Truckee River General Electric Company, he was transferred to Reno. Frank encouraged his younger brother, Julius to move to Reno and attend business school. Julius completed his education in 1910 and, that same year, Frank bought the Tonopah-based Nevada Machinery and Supply Company and moved it to Reno. Frank and Julius went into business together, renaming their new company, Nevada Machinery and Electric Company. During WWI all amateur/civilian radio activity was suspended. The ban was lifted for reception on April 12, 1919, (transmitting had to wait until September 26, 1919.) By early 1922, many radio amateurs wanted to follow Dr. Frank Conrad's example and try their hand at the new "Commercial Radio Broadcasting License" that the Department of Commerce was just beginning to issue. Though neither of the Broilis had amateur radio licenses, Frank had been involved with radio for many years and both brothers saw the business potential for a Commercial Radio Broadcast Station in Reno. On May 29, 1922, Nevada Machinery & Electric Company was issued a Commercial Radio Broadcasting License (application) with the call letters, KDZK. Julius visited radio stations in Sacramento and San Francisco, then began interviewing engineers to assist in the construction of KDZK's transmitter. The brothers formed a partnership with T&D Jr. Enterprises, who owned several theaters, including Reno's Majestic Theater*, which was located just around the corner from the Nevada Machinery & Electric location at 121 North Virginia Street. Julius hired George A. Tett, an engineer from Sacramento**, paying Tett $500 for the entire installation. The transmitter was most likely adjacent to the small studio that was located on the third floor of the Majestic and the dynamo (the high voltage source***) was in the basement. Additionally, the antenna was suspended across the roof of the theater. **** The application was approved on June 29th and Tett was finished with his installation in July. KDZK was the first Nevada radio broadcast station to actually be licensed and go "on the air" with their debut broadcast on the evening of July 21, 1922. Initially running only 25 watts, the station would broadcast for about one hour each day. On August 4th, 1922, KDZK broadcast a live program featuring Walter Cramer and a company of San Francisco jazz musicians from the stage of the Majestic. At that time, the Majestic featured both movies or live acts. In September 1922, KDZK broadcast the Nevada primary election returns (supplied by the Nevada State Journal) with reception reports coming from many points in Oregon, California, Utah and Nevada. As part of this broadcasting effort, Frank Broili arranged the first public demonstration of radio reception in Virginia City, Nevada. The receiving station was set up at the office of the Virginia Chronicle (Virginia City's newspaper at the time) and an article mentioning the demonstration was run in the September 5, 1922 edition of the Virginia Chronicle*****. A detailed schedule appears in a "Science and Invention" magazine from October, 1922 stating that KDZK broadcast "Music, vocal and instrumental talent, special features on Monday, Tuesday, Thursday 7:30-8:30PM, and Wednesday, Friday, Saturday 8-9PM, Sunday 8-9PM Sermons." Frank soon increased the transmitter power to 50 watts and Reno's little station began receiving reports from as far away as Alaska. By January, 1923, the Nevada State Journal began listing itself as the operator of KDZK, with Nevada Machinery & Electric Co. as owners and the Majestic Theater as the location of the station. However, on March, 11, 1923, the Journal announced that they would be installing a new radio transmitter at the Sparks High School, (the future KFFR.) The Journal went on to say that the new station would broadcast during the day while KDZK continued to operate at night. 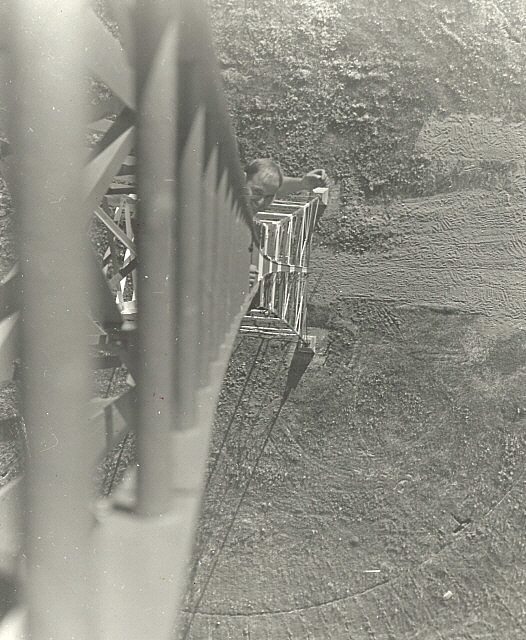 In May of 1923, the Department of Commerce changed KDZK's operating wavelength from 360 meters to 385 meters. The first remote broadcast in Nevada took place on June 3, 1923, with KDZK covering the Nevada State Industrial Exposition and Auto Show. Telephone lines were utilized with a direct connection to the transmitter but lack of input signal amplitude required an inline amplifier installation for sufficient transmitter modulation. Generating income in a small town, such as 1920s Reno, was difficult. Radio was a new medium of information and entertainment. Even the large station owners in big cities were unsure of just how to make money broadcasting. In the 1920s, most radio listeners were interested in DX (distant stations) and many small stations had difficulty finding local support. With DX interesting most listeners, nighttime operation was all-important and nighttime listening resulted in the best distance reception. Summer DX listening was made difficult because of higher static levels, daytime signal absorption and late sunsets. DX enthusiasts (and most of the other audience) were just not as plentiful in the summer as during the winter. KDZK suspended broadcasting in the summer of 1923. There may have been plans to return to the air during the fall but it was the end for KDZK. Though lack of support may have brought about the end of KDZK, June Broili says that the Reno Musician's Union was in-part responsible. If there was a conflict with the local musician's union then it is very likely that ASCAP (founded in 1916) was behind it. ASCAP had already notified most broadcasters, (in early 1922), that they intended to collect the royalties due from the phonograph recordings and most popular "live" music played "on the air." That, essentially, was everything that made up the popular programs on all radio stations. The National Association of Broadcasters was formed (in 1923) to try to circumvent ASCAP's fees. One of NAB's first responses was to publish a list of 300 songs that could be broadcast without paying ASCAP fees. ASCAP, by using local musician's unions as their "threatening voice", was able to force many stations, maybe even KDZK, to eliminate phonograph records and much of the popular music played "live" as their source of broadcast music. Another possible problem for KDZK came about when AT&T (Western Electric) began notifying (in mid-1922) all small broadcasters of their intent to collect licensing fees on the AT&T patented circuits that most of the broadcast transmitters were using. According to June Broili, faced with ever increasing expense of operation, possible future legal actions and no real way to make income off of broadcasting, the Broilis shut down KDZK in 1923 and did not renew their license. The Nevada State Journal had apparently operated KDZK but since they now had KFFR in operation, they didn't require the Broili's station. Frank disassembled the transmitter and moved the parts to the basement of the Ginsburg building, (across the street from Nev. Mach.&Ele. ), where the parts eventually were stolen. An amateur radio operator named Bert Edwards purchased the KDZK dynamo and planned to start up a broadcast station but nothing came of it. The short career of KDZK is not reflected in the success of Nevada Machinery & Electric Company. Frank soon discovered that the public wanted to buy radios and certainly that was a more lucrative prospect than radio broadcasting. Frank and Julius went on to become Reno's Zenith Radio dealers and remained the major outlet for radios and electrical appliances until the 1970s. In 1938, Frank Broili suffered a heart attack and shortly after passed away. Julius Broili continued to run Nevada Machinery & Electric and later, his son Julius Broili Jr., took over the business. Julius Jr. also was an active amateur radio operator with the call W7BYR. Nowadays, Julius Jr.'s call W7BYR, is held by his nephew, Gary Miller. *This was also the location of the 6VI antenna earlier (1915.) See "Amateur Wireless Operation in Nevada" section above for a photo of the Majestic Theater. ** A 1983 Reno Gazette-Journal newspaper article quotes Walter Mulcahy claiming that the engineer was Jim Kirk from Los Angeles. Kirk actually worked for the Nevada State Journal and built the KFFR transmitter for the NSJ/Sparks HS in 1923. *** Most small transmitters in the early 1920s were powered by lead-acid storage batteries for the vacuum tube filaments, dry cells for low voltage/bias requirements (if any) and a high voltage DC generator, or dynamo, for the B+ Plate voltage. **** To further complicate matters, Julius Broili Jr. used to say that the transmitter was located in the Granada Theater. A caricature of "Hadley Beedle"
One early broadcast of KFAS (September 12, 1922) featured Fritz Kuns, an occultist from Adyar, India, with a program called "Psychic Wireless." The program was advertised in advance and included an interview with Kuns, who welcomed the opportunity to present his views on the connection between mental telepathy and radio. Hadley probably utilized recordings for his advertised, tri-weekly concerts broadcast over KFAS. As with all broadcasting stations of the day, KFAS was supposed to share air time with other local broadcast stations, of which there was only the Broili's station, KDZK. Both stations were initially assigned to 360 meters because the Department of Commerce thought that all radio broadcast stations should be on the same wavelength and separated geographically, (though this plan was never adhered to.) By late 1922, the Department of Commerce realized that one wavelength was not sufficient so they authorized the use of a second wavelength for broadcasters, 400 meters. Only Class B stations were to be assigned to 400 meters and those stations had to meet stringent requirements to be qualified for Class B status. Originally 400 meters was planned for Government Stations only, but that plan was never adhered to either. Of course, many of the larger broadcasters would not share air time and, as a result, the smaller stations would usually change frequency. This practice led to even more chaos in the "broadcast band" (then considered 400 to 360 meters) with many broadcasters labeled as "pirates" because they were not transmitting on their assigned wavelength. In 1923, the Department of Commerce began to relocate some stations within the 225 to 400 meter region to reduce interference. The plan was not totally effective though and many stations continued to move around somewhat to avoid interference. The broadcasters could only move their frequency so far - 1500kHz was the bottom end of the 200 meter ham band and 500kHz was an emergency frequency. When the Federal Radio Commission took over from the Department of Commerce in 1927, the AM Broadcast band was firmly established at 550kHz to1500kHz with 10kHz separation between the official assigned frequencies. For the most part, "wavelength" had been replaced (in the USA) by the more accurate "frequency" by this time. Sharing "air time" certainly wasn't a problem for KFAS or KDZK as neither station was "on the air" more than just a few hours a day, (if that.) Hadley must have encountered the same problems as the Broilis did with lack of support, threats from AT&T, ASCAP and the musician's union because he also shutdown his BC station in the summer of 1923 and never renewed his license. Hadley's amateur radio call, 6ZO, was later changed to W6ZO, (Nevada, prior to 1947, was part of the sixth call district), and later still to W7EV. Besides Reno Motor Supply Company, Hadley invested in several other businesses in Nevada and California and also raised registered Arabian horses on his ranch near Reno. On May 15, 1923, the Department of Commerce changed the KFFR operating wavelength from 360 meters to 225 meters. 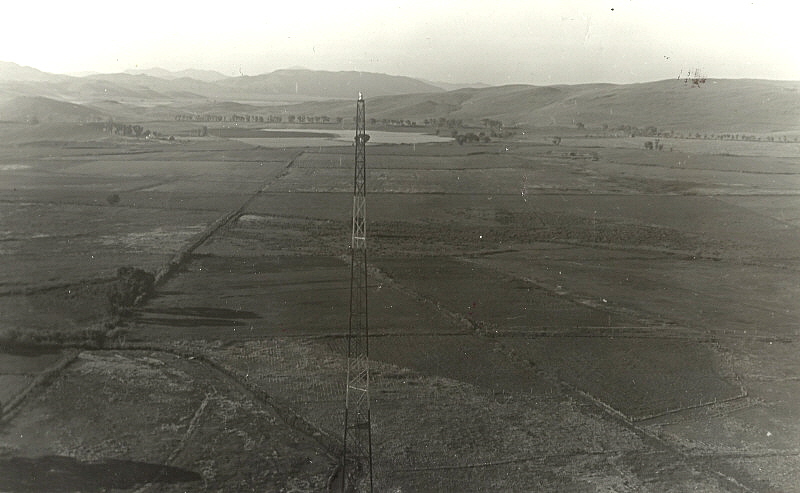 In June 1923, KFFR's operating wavelength was again changed, this time to 385 meters. This was the operating wavelength of KDZK, however it was probably apparent that the Broilis could no longer afford to own KDZK and wanted to shut down the station. Since the NSJ now had KFFR in operation the move to KDZK's wavelength made good sense. For the duration of KDZK's operation (which probably wasn't very long), both stations continued operations as before, that is KDZK during the evening and KFFR during the day. Due to the lack of interest with broadcast reception during the summer months, (and the fact that the station was located at the Sparks High School which closed during the summer), KFFR went off the air (in June) but returned in the fall with more local talent and their regular broadcasts. In February, 1924, KFFR was again off the air. This time the transmitter batteries had been taken to provide power to ring the school bells. By March, either new batteries were obtained or the old ones returned, as KFFR resumed broadcasting. The station license was renewed by Jim Kirk in May, 1924. KFFR again closed down for the summer in June, 1924, but never returned to the air. It is possible that the AT&T licensing notice or ASCAP pressure may have influenced KFFR's demise or perhaps it was just lack of local support. Sometime in the late twenties, a couple of students were commissioned to disassemble the transmitter and use the parts to build a PA system for the school. The project resulted in a PA system prone to excessive feedback and the end of Jim Kirk's KFFR transmitter. * In a 1983 Reno Gazette-Journal article, Walter Mulcahy claimed that KFFR used an Edison phonograph with a Kellogg carbon-button microphone lying on a pillow inside the horn. He further claimed that KFFR broadcast the state's first "canned-music." Created by Walt Disney for McClatchy Broadcasting and used as the KOH logo on the cover of the KOH "Intersection Study" from 1943. Note "KOH" on the Bee's Microphone. 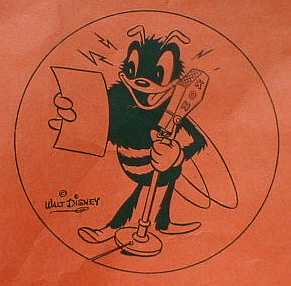 - Disney also created a McClatchy newspaper reporter Bee similar to "Gabby" with newspaper in hand - his name was "Scoop." KGGM & Jay Peters - Jay W. Peters got his start in radio broadcasting in Inglewood, CA, in 1927, with a portable broadcasting station licensed as KGGM. He operated his station, which was described as a "portable set operated from a truck," on 1470kHz at a power of 100 watts. On April 27, 1928, the Federal Radio Commission (FRC) announced that all portable stations would be restricted to operation on 1470kc or 1490kc and eventually they would be eliminated by July 1, 1928. In an Oakland Tribune article from June 20, 1928, it was reported that four California stations, one of which was KGGM, were to be banned from operating by the new regulations that would become effective August 1, 1928 (July 1, 1928 according to FRC.) Peters vowed to fight the new regulations but he would have had to go to Washington DC on July 9, 1928 to "show cause." With the ban looming ahead, Peters was hired by the "Bunion Derby - 1928 Footrace Across America", an event put on by promoter, Charley Pyle. Peters was to provide live coverage of the race as it left Los Angeles and was to follow along in his portable station as the race progressed across America. Interviews with the race participants was part of the coverage along with entertainment from a 12 piece jazz band. When the race reached Albuquerque, New Mexico, Peters' truck (bus - see paragraph four) broke down. Apparently, the whole event wasn't going very well and Peters had not been paid, so he decided to leave the portable radio station in Albuquerque. Peters quickly reached an agreement to sell KGGM to The New Mexico Broadcasting Company. The call letters, KGGM, were transferred to the New Mexico Broadcasting Company at that time, August 1928. This was apparently just about the time the portable ban went into effect. Peters also sued Charley Pyle for $3183 in lost wages and other expenses (listed as cost of station in some sources.) Peters went on to Reno, Nevada to start a new broadcast station. He may have known that Reno had been without a local broadcast station since the closure of KFFR in 1924 but this is purely conjecture. A commonly heard story, (told by Walt Mulcahy), has Peters as a dealer in radio transmitting equipment arriving in Reno to demonstrate a mobile transmitter/station to investors who wanted to build a new broadcast station for Reno. Peters found that the investors would not accept an order for equipment but insisted upon buying the actual demonstration mobile transmitter (which supposedly was hauled around on a trailer.) The buyers prevailed and the entire equipment package was purchased and Jay Peters hired to set-up and operate the new station. Some of the prominent investors were H.E. Saviers and Son, Inc. (Reno's largest dealer in radios and phonographs), Sierra Pacific Power Company (may have actually been the Truckee River Power Company at that time) and the Reno Chamber of Commerce. It is likely that Peters told the story of his KGGM sale in Albuquerque to his many friends and the location of the sale became confused after the story was retold by others. The documented evidence has Peter's mobile station, KGGM, transferred to The New Mexico Broadcasting Company in August 1928. Another frequently heard version of KOH's origin supposedly starts in 1927, with Peters building a mobile broadcast station in an old bus. The antenna was supported by two A-frame masts mounted on the front and rear bumpers. Though this bus-station was almost certainly a reality, in this hearsay version, Peters did not have a broadcasting license and traveled around Nevada broadcasting radio shows using whatever local talent he could find. When Peters arrived in Reno, he continued to operate his mobile station around town without a license however he was approached by "radio officials" who informed him a license was going to be required and the station had to cease mobile operation (likely confusion with the KGGM ban of 8/28) The story continues that Peters applied for a license and was given the call letters KOH. Except for the bus-station, all of this story is fabrication based on a few confused facts. The KGGM Bus-Station was likely a reality. The facts are based on a photograph that Peter's had of a (his) mobile station that was built into a bus. Robert Brannin had actually seen the photo that Peters had of his bus-station. An article in "Popular Communications" magazine mentions that "the bus broke down" when Peters' KGGM was stranded in Albuquerque (but this is the only reference to a "bus mobile station" in print.) It is likely that Peters installed his portable transmitter on a bus specifically for the "Bunion Derby" trip, after all, he was going to need someplace to stay during the cross-country trip. 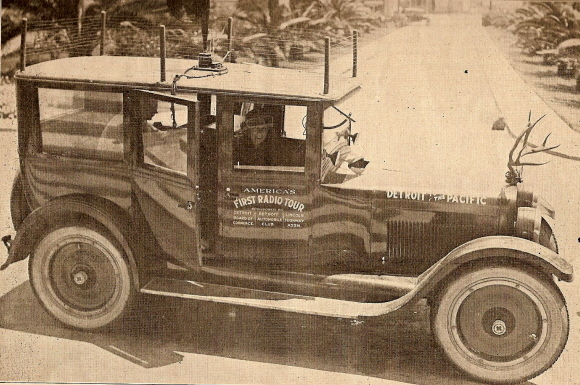 As with much of the early history of KOH, Peters' re-telling of his adventures to his friends in Reno (plus the photograph of the bus) probably became confused in multiple re-tellings by Peters' friends and consequently we have the Bunion Derby confused with the August, 1928 Portable Station ban and the ultimate sale of the KGGM portable (bus) station to The New Mexico Broadcasting Company combined into the fabricated stories that have become popularly believed myths. The facts are that all pre-Bunion Derby printed sources say that KGGM was a "portable set operated from a truck" (Oakland Tribune and the Los Angeles Times) while the only post-Bunion Derby source (Popular Communications) states that the station was installed in a bus. These facts along with the Peters' bus-station photo make it likely that the KGGM bus-station was a reality. It is most probable that Jay Peters arrived in Reno in August 1928 (after selling his portable transmitter to the New Mexico Broadcasting Company) with the intention of building a new radio broadcast station. The financing probably did come from the larger Reno businesses mentioned by Walt Mulcahy. The decision was made to set-up the transmitter at Blanch Field Airport. Peters applied for a broadcast license at that time and was assigned the call letters KOH on September 13, 1928. The remainder of the KOH story that follows is from old Nevada State Journal and Reno Evening Gazette articles along with the FRC/FCC records. The Sacramento Bee bought the KOH operation in early 1931. Apparently, Jay Peters had arranged for the Sacramento Bee to operate KOH before the actual sale took place. A REG article of February 18, 1931 states that the sale took place "today." The actual sale was probably not obvious to listeners since the Bee was already operating the station anyway. The sale allowed for expansion of the KOH operation and, by April, new facilities were ready. An advertisment in the REG of April 8, 1931 states that KOH was now affiliated with CBS and would also run Don Lee programs. 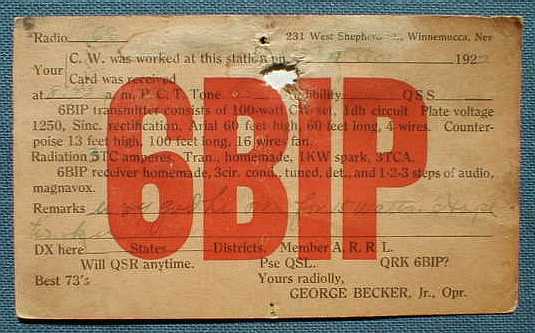 It is still being shown as "operated" by the Bee and owned by Jay Peters, Inc. Additionally, their new (or rebuilt) 500 Watt transmitter now had "perfect modulation" and provided static free listening. KOH had moved to the Steinheime Building near 5th Street and Virginia St. in downtown Reno. With the move came the increase in power to 500 watts and a frequency change to 1380kHz***, (which gave KOH a clear channel to the west.) The antenna was located between two, 100 foot tall wooden poles, one mounted in the sidewalk on Virginia St., the other at the back of the property. Each pole weighed seven tons! KOH called itself "The Voice of Nevada." In 1939, KOH applied to the FCC to increase power to 1000 watts and to change operating frequency to 630kHz. Los Angeles radio station KFI (640kHz) filed an opposition but lost its appeal in December, 1939. KOH had purchased 20 acres in Sparks for the antenna site and eventually spent $50,000 for two towers, transmitter, station house (in Sparks) and a new studio at 143 Stevenson St. in Reno. 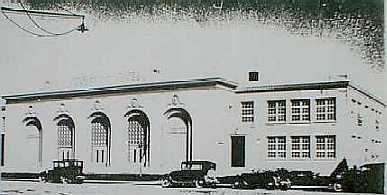 It was August 23, 1940 when the KOH operation was moved into their new facilities, which featured two "state of the art" studios at the Stevenson St. location. The map below is from a 1943 "Intersection Study" showing the coverage KOH had running 1000 Watts on 630 KC. The Field Strength Contours map shows the radiation pattern out to .5mV/M and is similar to the color coded map on the left. At this time, McClatchy Broadcasting called their line of stations "THE BEELINE" and it included, KFBK in Sacramento, KWG in Stockton, KMJ in Fresno, KERN in Bakersfield along with KOH in Reno. During WWII, FCC licensed engineers were hard to find as most were doing wartime duty. Bob Stoddard took over as Manager of KOH on July 5, 1943. One evening, while attending a social party, Stoddard was telling of his difficulties in finding FCC licensed personnel. One of the ladies present related that her son had a First Class FCC License. "Send him down to my office in the morning and I'll give him a job!" "But he's only sixteen years old and still in high school," she protested. "I don't care, " retorted Stoddard. "If he's got the license, I'll put him to work." The next morning young Gordon Harris reported to Bob Stoddard's office and presented his First Class FCC License. "That's great. Let's hear you read some copy." Stoddard handed Gordon a piece of copy. When he had finished, Gordon asked, "Well, how'd I do?" "You were terrible, but I gotta have ya!" Gordon Harris worked weekends, evenings and summers at KOH during his high school years. He worked the board and did remote broadcasts, certainly one of the youngest First Class FCC Licensed Operators working in broadcasting at any time. Shown to the left is the RCA 77C-1 polydirectional velocity microphone used at the station from 1940 up into the 1960s. The 77C-1 was only available in 1940. 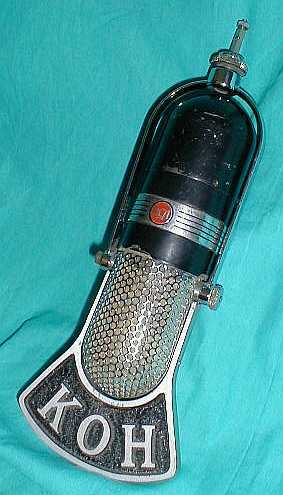 It evolved into the 77D in 1941 and later into the famous 77DX microphone. Shown to the right is a KOH microphone flag from the time when the station was an NBC affiliate. Jay Peters after KOH - Jay Peters stayed with KOH for many years but, by the late thirties, he had taken a job with United Air Lines and the Works Progress Administration as an airport lighting engineer. During WWII, he was with the US Engineers Electrical Department in Sacramento, directing airport lighting. After WWII, Peters joined Pan American Grace Airways and went to Lima, Peru for installation of lighting at the airport there. While in Peru, Peters and his wife, Uretta, operated an amateur radio station with the call, OA4AN. Peters spent an addition three years in Peru working for their government. When he returned to Nevada, he took a job with Osborne and Kitchen, Inc., a major electrical supplier where he became their sales representative for the state of Nevada. Eventually, Peters retired and moved to Carlin, Nevada. Jay Peters died in Elko, Nevada on May 17, 1963 at the age of 71. 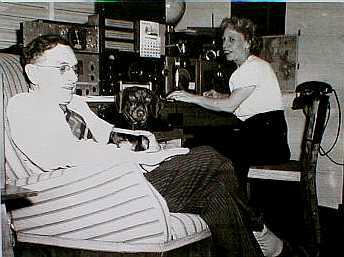 This is a photo of Jay Peters and his wife, Uretta, operating their amateur radio station, OA4AN from Lima, Peru in the late 1940s. Peters was in Peru to oversee installation of airport lighting in Lima. Peters' ham call in the states was W7CNG. Why KOH is now KKOH - On October 14, 1982, McClatchy Broadcasting sold KOH to Price Broadcasting Company (of SLC, UT, but partially owned by Sierra Pacific Power.) Price Broadcasting also owned KROW (Reno, 780kHz) and because of an FCC rule restricting multiple, high power station ownership within the same area, Price Broadcasting elected to sell KOH, which was still operating on 630kHz. Klein Broadcasting Company bought KOH from Price Broadcasting Company in late-October, 1982 for $95,000. ***** In the early 1990s, KOH was again sold, this time to Citadel Broadcasting. A change of operating frequency was requested from the FCC moving KOH from 630kHz to the new frequency of 780kHz, (where E.L. Cord's station, KCRL had earlier been and where station KROW was then operating.) The move would allow a "new" KOH to increase transmitter power to 50KW. The station owners had to weigh the advantage of 50KW vs an old three-letter call. They chose the former and on March 10, 1994, the FCC retired the KOH call and issued a new license with the call of KKOH for a 50KW station to operate on 780kHz. Citadel-KKOH had a three tower antenna system installed in Lemon Valley in 2006. 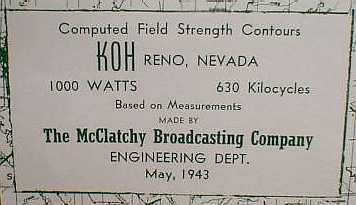 KKOH continues to use the old three letter KOH call in their advertising and many times will claim that they are "Nevada's oldest, continuously operating broadcast station." Can KKOH legitimately lay claim to the KOH history? Certainly! The argument that KKOH is on a different frequency than KOH doesn't take into account that KOH first broadcast on 1370kHZ, then moved to 1380kHZ and later moved to 630kHZ in 1940. Different owners? KOH was sold as early as February 1931 and was sold several times in the 1980s. Different call? The FCC issued a new, four-letter call conforming to the FCC's desire to eliminate all AM-BC three-letter calls but yet be as close as possible to the original three-letter call. So, KKOH is a continuation of the history of Nevada's oldest, continuously operating broadcast station. Many other broadcast stations across the country claim their lineage on much less tenable connections. **From an article in the Nevada State Journal. ***Federal Radio Commission records indicate that 1370 kHz was the first assigned frequency, however many other contemporary sources, such as callbooks and various magazines, list 1380 kHz, prior to 1931. Although KOH changed to 1380kHz in 1931, it took the FRC/FCC records until 1934 to indicate the new frequency of 1380kHz. KGIX was Las Vegas' first broadcasting station. The license application was dated March of 1929 with John M. Heaton* shown as the owner. Heaton had retired from the railroad and wanted to build a radio station for Las Vegas since most of the residents couldn't receive any AM BC signals because of a high static level within the city. Some investigations seemed to indicate the static originated from the multitude of electric fans in use in the city. Heaton's solution was to be a local radio broadcast station with enough power to overcome the static. The studio was located on Fremont Street and though the station was not going to run high power, it would be sufficient for local, static-free reception. KGIX went on the air on September 2, 1930 with a formal dedication by Senator Key Pittman. KGIX was operating 100 watts on 1420 kHz but only broadcasting during specified hours - according to surviving schedules. ** Though grand plans were envisioned for KGIX, insufficient income resulted in a denial of license renewal around 1933. Heaton put together enough capital to have his license re-instated but interest in the station must not have been enough to keep it on the air. Without enough income, the KGIX license was not renewed in 1935 and expired on May 14, 1935. There are some reports that KGIX never was an operational station, however it is listed in many contemporary radio magazine schedules over a period of several years and is remembered by several longtime Las Vegas residents. John Heaton died in 1937, ending any hopes of a KGIX revival. The next radio station to go on the air in Las Vegas is KENO in 1940. 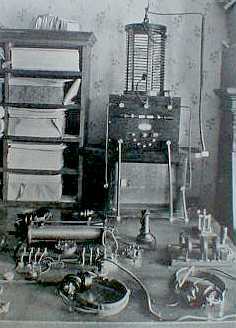 The photo shows a typical, small, Radio Broadcasting station, ca.1930. *Some sources erroneously list the KGIX owner as J. M. Heston. Nevada Historical Society Quarterly, Spring 1974 - June Broili - "Frank O. Broili: The Transformer"
Newspaper article, Reno Gazette-Journal, October 20, 1983, "KOH isn't really state's first station", article quote's Walter Mulcahy, as their information source. Radio Journal, September 1922 - Covers "America's First Radio Tour"